All restaurants are dependent on their communications system to function, but this is especially true of those restaurants that specialize in delivery and takeout. Telephone orders are essential to operations such as these. 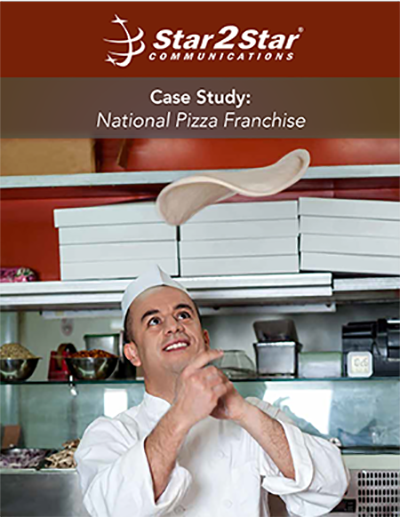 One large national pizza franchise implemented a call center to deal with the large amount of phone traffic, but found their initial service provider was unreliable and did not provide the advanced call center features the franchise needed. The franchise turned to Star2Star for help. Read more to discover how Star2Star was able to resolve the franchise’s reliability issues and how StarCenter improved inbound call center operating efficiency and added new advanced features.